Long Garden is predominantly a rose garden containing 16 rose beds. 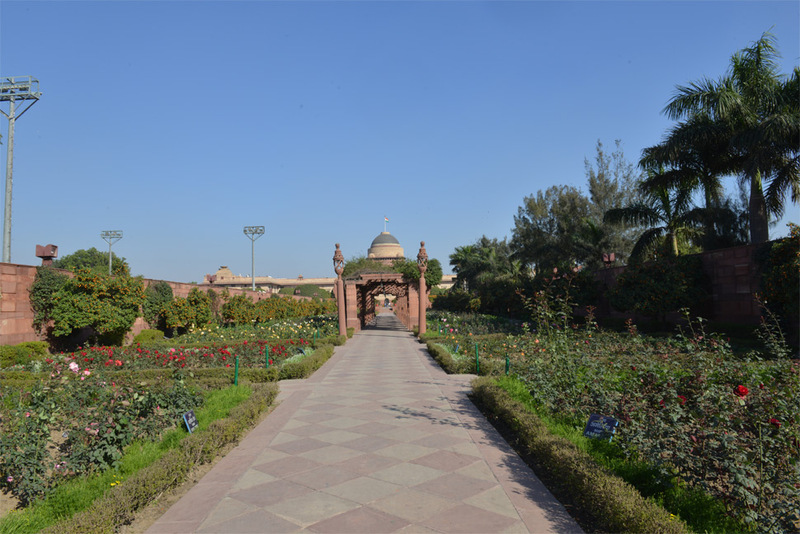 This garden is 430 feet in length and is enclosed by walls that are about 12 feet high and hence it is often known as the Purdha garden. Besides popular and heritage varieties of roses like Rose Ice Berg, Rose Summer Snow, Rose Okla Homa, Rose Lousiana and more, the beds are margined with dahlia, marigold, salvia, gazania, oxalis, ranunculus and iris. 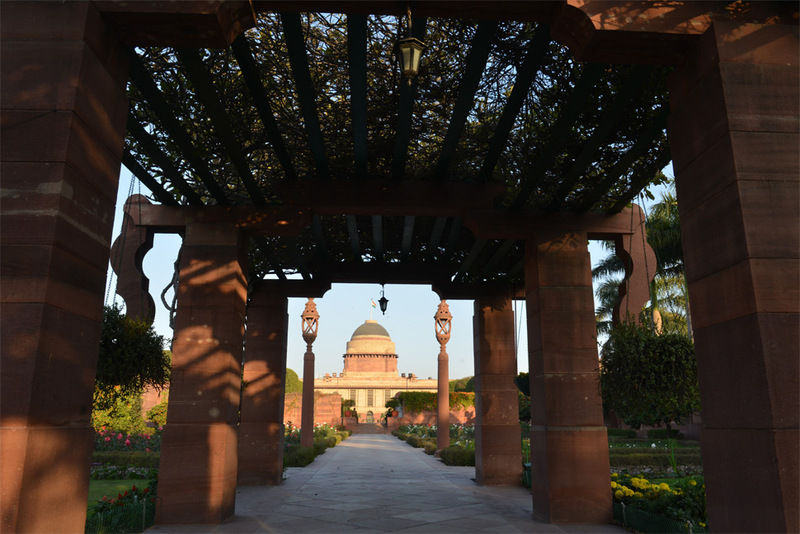 The central pavement has a red sandstone pergola that is covered with Rose creepers, Patrea, Bougainvilleas and grape vines. On both sides of the pergola, rows of sandstone elephant trunks can be seen. This seems to be yet another way of Lutyens for introducing an Indian feature in his architecture. The 12 feet high walls are covered with creepers like flame vine, trumpet vine, lassan bel and Jasmine that add fragrance to the garden. Along the walls, one can see the China Orange trees or Kumquats that have been planted. Long Garden leads to the Circular Garden.